Kickass McAwesome: It's Always Been My Motto. It's Always Been My Motto. 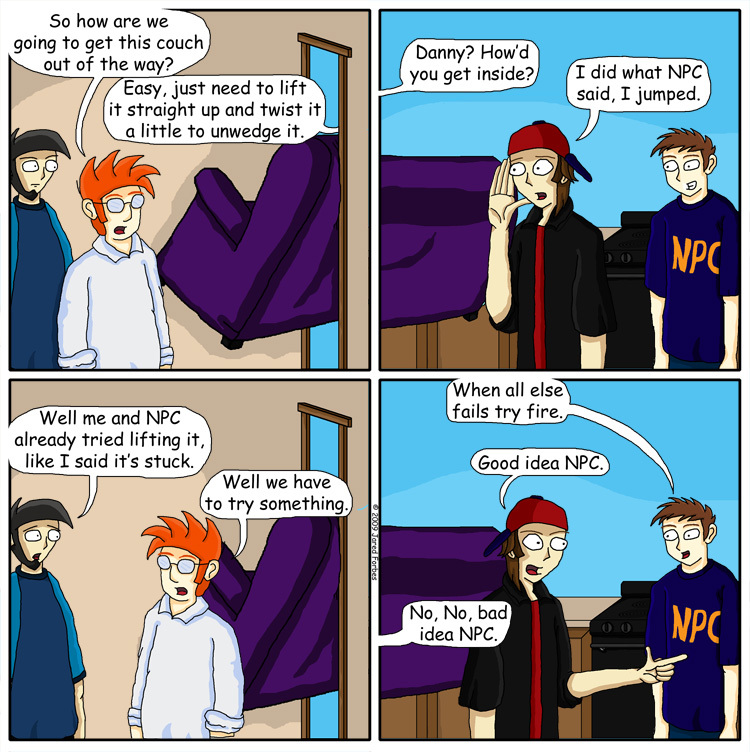 Well, it was kind of a roundabout way of doing it, but pretty much the entire reason I've done this whole new couch storyline was to gradually introduce NPC into the comic. Figured it would be more stylistic to do it this way than to just say, "Hey look at the new guy, he says things a video character would say. Isn't he wacky!?" That and I mean come on, their couch was purple. Well like I said, NPC is a gag character, all of his lines will be lines of dialogue that a Non Player Character said in a classic video game. Isn't he wacky! ?